Červený kláštor is a unique cultural and historical relic set in the wonderful natural environment of Pieniny under the majestic mountain Tri koruny. The monastery was successfully restored in the years 1956-1966. The best building, from an architectural point of view, is the Gothic church of St Anton from the end of the 14th century with one nave of unusual length restored in the Baroque style. The main altar is in the Baroque style, built in 1745. The monastic buildings are next to the church from the north. In the Baroque building some older Gothic features are recognisable. The remains of the Late-Gothic paintings on the walls of the monastic refectory date back to 1520. Červený kláštor associates with the name of Fray Cyprián who was known for his thorough knowledge of medicinal plants. The herbarium he compiled is included in the exhibition. 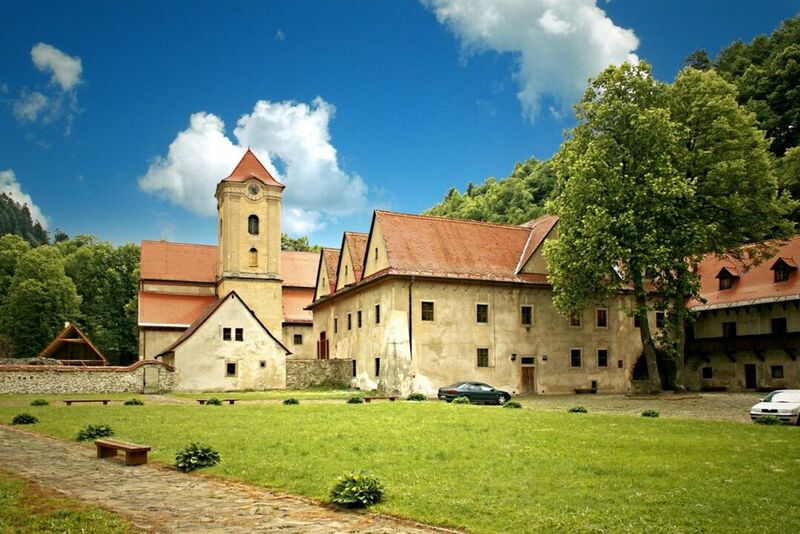 In front of the entrance to the monastery is the park declared the Protected Area of Pieninské lipy in 1972. It protects 19 old and valuable lime trees.